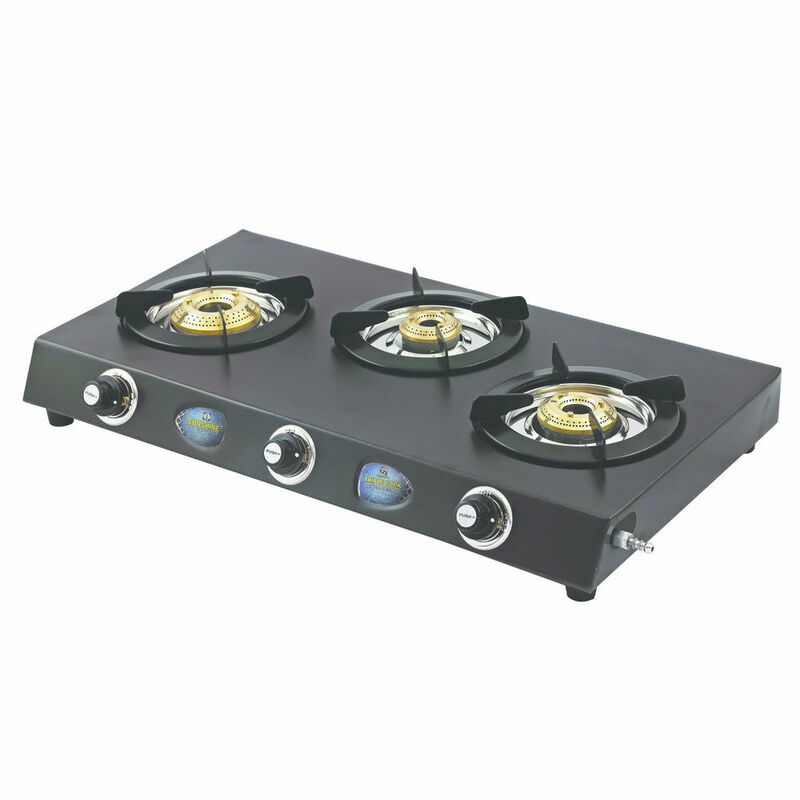 Sunshine Triple Cook Three Burner Powder Coated Gas Stove model was originally pioneered by SUNSHINE since the late 1990’S. Since then the model has become the USP of brand. Triple Cook has been known for its classic aesthetics, ample utensil space and all in one utility burner. The black MS coated body gives the stove a smart and elegant look. 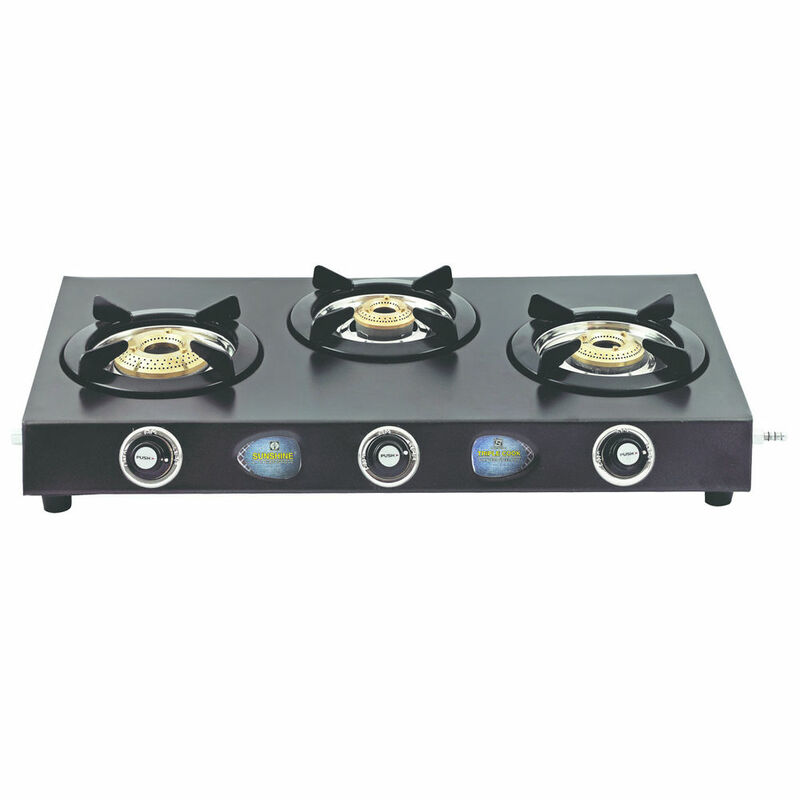 This fine piece of metal is the ideal three burners for your smart kitchen. Absolutely useful product that has made me love cooking...earlier I used to hate cooking, but with this burner, I love cooking as I can cook fast with three burners!! This three burner gas was gifted to me by my husband on our second marriage anniversary...cooking has really become a quick and easy task for me!! 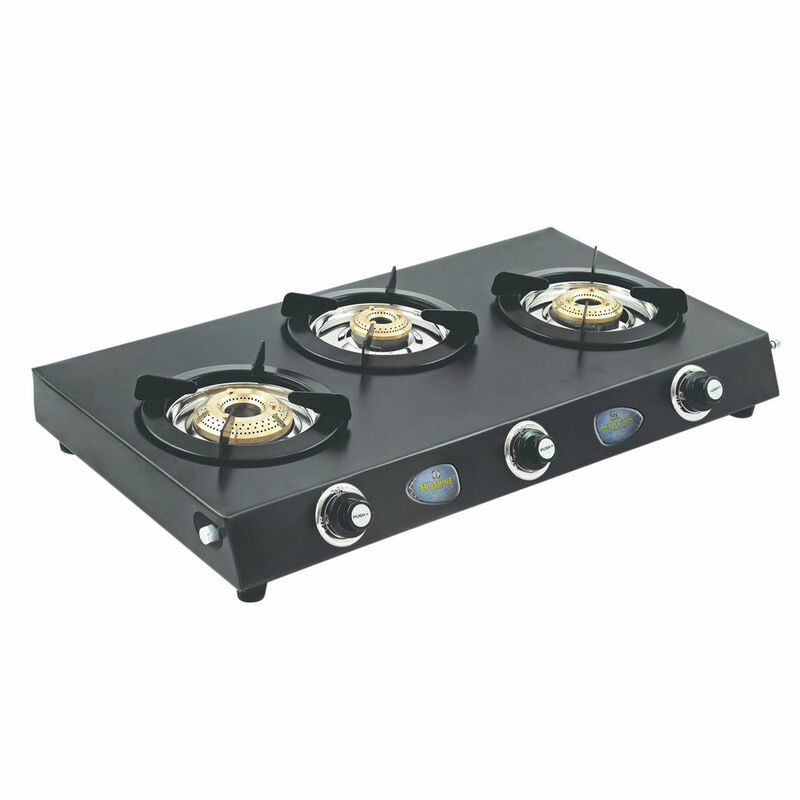 The stainless steel body of this triple cook three burner powder coated gas is of very good quality...M using it since 4 years and I have not encountered a single problem in these many years!